The ongoing trend to reduce antibiotic use in poultry production has led some scientists to search for alternative, natural antimicrobials. This study by S. Salaheen and colleagues, recently published in the Journal of Applied Poultry Research, asked whether bioactive compounds found in berries could do a similar job. Maintaining the health of food-producing animals is critical for their welfare and for human health. Organic and free range poultry production has become more popular of late as consumers look for food options with better animal welfare credentials, however the increased exposure of such birds to the outside world and other animal species increases the risk of disease and mortality. This places a significant extra cost burden on the producer, leading to an increased need for natural disease-preventing products. Two major diseases in such flocks, as well as in flocks in less developed areas of the world, are fowl typhoid and pullorum disease, which are caused by two varieties of Salmonella bacteria: Salmonella enterica serovar Gallinarum biovars Salmonella Gallinarum (S. Gallunarum) and Salmonella Pullorum (S. Pullorum). These bacteria can spread via faecal-oral routes, surviving in feed and litter for many months. They cause symptoms such as anorexia, diarrhoea and dehydration, which eventually lead to reduced productivity. American producers control these diseases with both vaccinations and antibiotics, but vaccinations can occasionally cause extra disease transmission and mortality, whilst there are many reports of antibiotic resistance. Organic poultry producers in the US and elsewhere are also not allowed to use antibiotics in routine disease prevention. These issues turned scientists towards potentially overlooked sources of antimicrobial compounds such as berries, fruits and their by-products. Berries are rich in several phytochemicals such as phenolic acids, proanthocyanidins, anthocyanins, and other flavonoids, which give them interesting properties. Previous studies had shown that berries and their derivatives have inhibited the growth of harmful microorganisms whilst having no effect on the beneficial gut organisms, giving the researchers hope for a useful application of these compounds in poultry production. The scientists used by-products of blackberry and blueberry juice production which they then dried and extracted the bioactive compounds, resulting in a dried extract, which they then added to cultures of both beneficial and harmful bacteria grown in a nutritious broth. They also tested the effect of different concentrations of berry extract on bacteria grown in faecal matter (used to reflect conditions in the gut) and water, as well as on bacteria grown with other species. The researchers showed that the berry extract significantly reduced the growth of S. Gallunarum and S. Pullorum in broth, but were most effective at reducing the growth of S. pullorum. However, the extracts did not affect the growth of the probiotic bacterium Lactobacillus plantarum, even at much higher concentrations. In the faecal matter, the two different extracts behaved in varying ways but did manage to reduce growth of the harmful bacteria, whilst not affecting the growth of the probiotic. The pathogens were inhibited by lower concentrations of berry extracts in the faecal matter than in the broth, suggesting that they might be more vulnerable in this environment more similar to a real life gut. L. plantarum showed increased growth 72 hours after the berry extract had been added to the faecal matter culture, suggesting that it may have been able to switch to using the berry extract as a source of nutrition after this period of time. 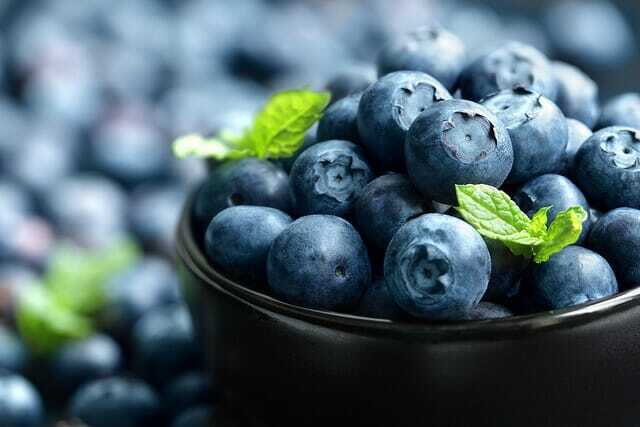 Both extracts were able to inhibit growth of Salmonella extremely quickly in water, but with blueberry extract more effective. This suggests that the extracts could be useful as a water supplement to prevent the transfer of harmful bacteria in water. The differences in effectiveness of the two types of extract might depend on the relative chemical profiles of the two berries. When the harmful bacteria were grown concurrently with the probiotic, growth of the Salmonella bacteria was decreased, but adding the berry extracts decreased the growth even more, without an impact on growth of L. plantarum. This indicates that the probiotic and the extracts may have a synergistic relationships. In previous studies, the study authors also found that berry extracts could inhibit other microorganisms such as Campylobacter and E. coli. Overall, the authors conclude that the berry extracts could be used as a practical supplement to reduce pathogen growth in birds as well as in their environment.